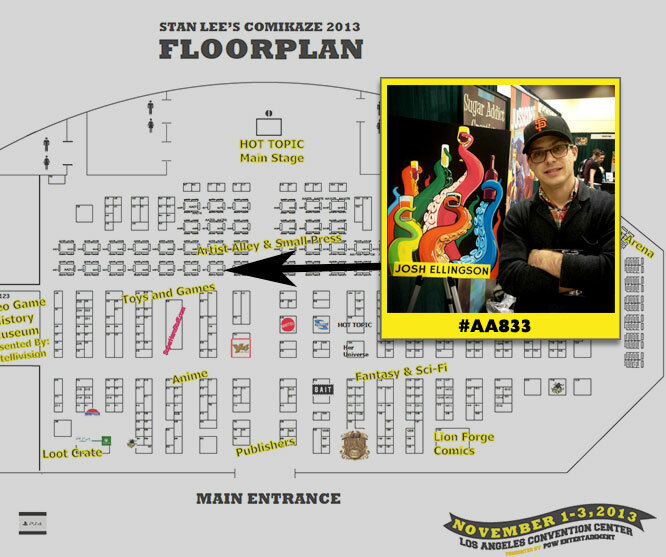 This weekend I'll be in LA for Stan Lee's Comikaze Expo at the Downtown Los Angeles Convention Center. Come find me in Artist Alley at table #AA833. The following weekend I'll be back in Los Angeles for DesignerCon at the Pasadena Convention Center. Look for my giant octopus banner. I'll have lots of new prints and some tiny drunk bird paintings for sale. Hope to see you there!